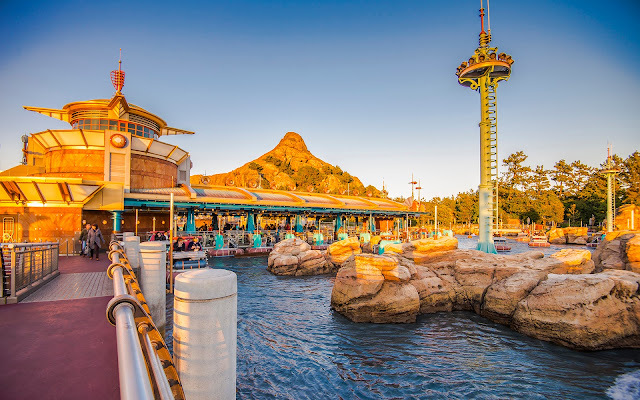 Today's post is for my friend, Dan, who loves all things Japan and especially all things Tokyo Disney Sea. Now, I've actually dedicated a blog post to Dan before, but today is especially direct, because he pointed out that among all the various attractions across all the Disney parks around the world, the one ride I was conspicuously missing (at least to him) was something about Aquatopia, the whimiscal, trackless, radio controlled "water ride" at Port Discovery. There's a good reason for this, though. 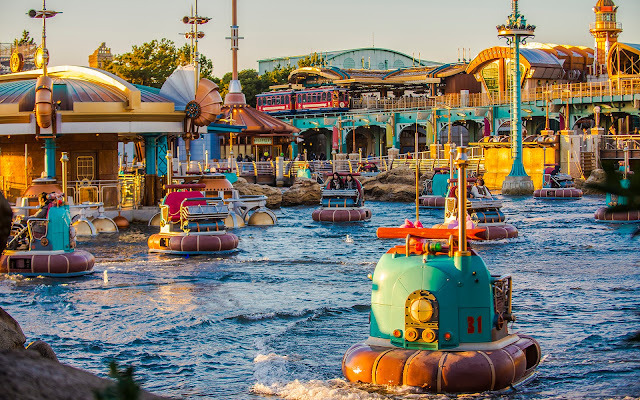 Up until today, every single one of my posts from the Tokyo Disney Resort has been from 2015, and during that trip, Aquatopia was closed. Fortunately, I also went in 2016, and on that trip, Aquatopia was open, giving me the chance to both ride and photograph it. 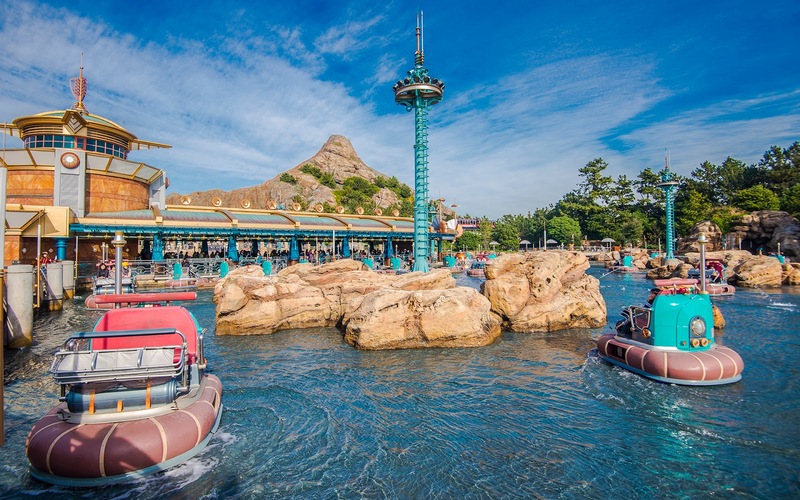 Those in Southern California might even recognize an attraction that uses Aquatopia's technology--Luigi's Rollickin' Roadsters, which is also trackless and radio controlled and kind of silly fun. Imagine that, but with water, and larger, with a more winding and seemingly random course. Oh, and two sides--all set in a futuristic seaport. 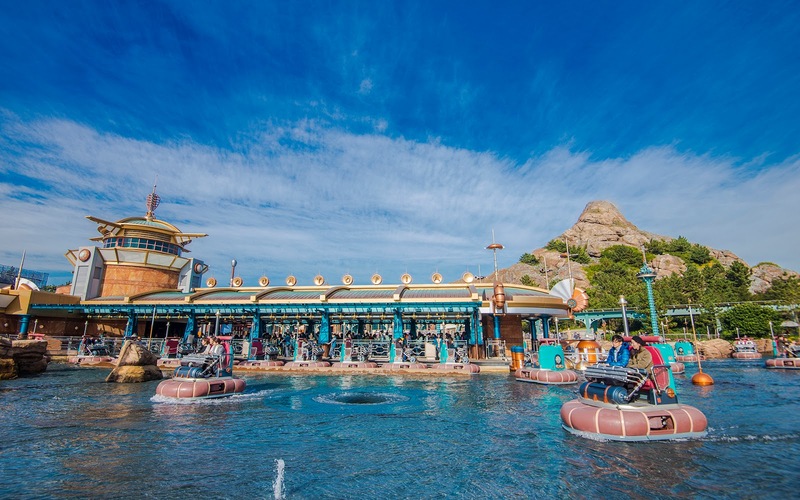 That is Aquatopia, and it is one of many reasons why Tokyo Disney Sea is the most unique Disney park in the world! Aquatopia on a beautiful, blue sky day. Mysterious Island's Mount Prometheus looms in the background, as it does everywhere throughout Disney Sea. Golden hour on Aquatopia is gorgeous. Aquatopia is one of those rides that might seem a little pointless on paper, but is a joy to experience in person!